According to Deadline, HBO has confirmed that Vinyl, the new series from Martin Scorsese, Mick Jagger, and Boardwalk Empire’s Terence Winter about the ’70s New York music scene, will launch its 10-episode first season on Sunday, February 14 at 9 PM. The premiere will be a two-hour episode directed by Scorsese, which should appease those impatiently waiting on his next movie. 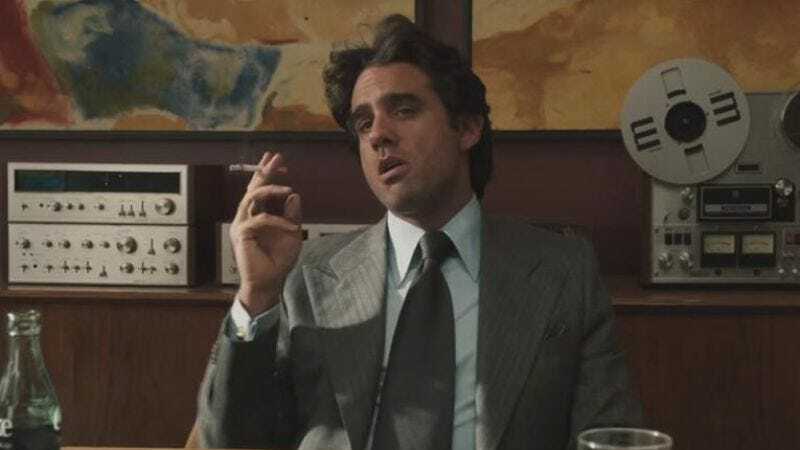 All that we know about the series so far is that Bobby Cannavale plays record label president Richie Finestra, who walks viewers through his trials, tribulations, and drug-fueled raptures with narration that recalls Goodfellas with its potent mixture of self-awareness and braggadocio. The show also stars—pause for a cocaine bump—Olivia Wilde, Ato Essandoh, Ray Romano, Max Casella, P.J. Byrne, J.C. MacKenzie, Birgitte Hjort Sørensen, Juno Temple, Jack Quaid, Mick Jagger’s son James Jagger, and Paul Ben-Victor. But, as ever, “Scorsese” is the only name we need to stay interested.